The Weber State University Women’s Soccer Elite College ID Camp is for all 9th to 12th-grade female players who loves to challenge and improve their skills. The Weber State University Women’s Soccer Elite College ID Camp is set on June 3, . It will start at 10:00 AM and end at 3:00 PM. It will be a whole day of serious and fun college level training environment. There are only 125 slots available. This is to allow 45 minutes rotation training sessions for each player. This camp is also set for field players only. The camp will include sessions about NCAA policies and recruitment procedures. Drills will focus on developing each individual’s technical and tactical abilities. There are also competitive games to prepare participants for an elite level soccer. Weber State University is in Ogden, Utah and was founded in 1889. It is a Northwest Commission on Colleges and Universities accredited public university. It is 11th in the Great Value College’s 50 Best Colleges for Adult Education ranking. Also, it is 76th in edition of Best Colleges is Regional Universities West ranking. Currently, it accommodates around 26,000 undergraduate students. The university has a total of 14 varsity teams competing in the Big Sky conference and their nickname is the Wildcats. At the present time, Weber State women’s soccer team is number 8 in the conference. 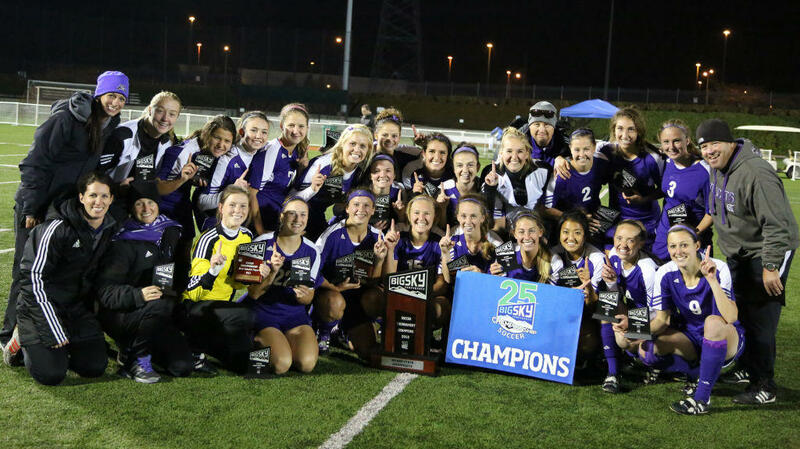 The Weber State University women’s soccer team is a 4-time Big Sky champions. White and purple are the universities official colors. Leading the coaching staff is Head Coach Tim Crompton. He is a 2-time Big Sky Conference Coach of the Year award. He has been the head coach of the team since 2004. During this tenure, the Wildcats has 3 NCAA Tournament appearances. The Assistant Coaches are Mike Manning and Meagan Thunell. Joining them are Utah Head Coach Rich Manning, Westminster Head Coach Tony LeBlanc, and UNLV Head Coach Chris Shaw. The Weber State University Women's Soccer Elite College ID Camp is for all 9th to 12th-grade female players who loves to challenge and improve their skills.